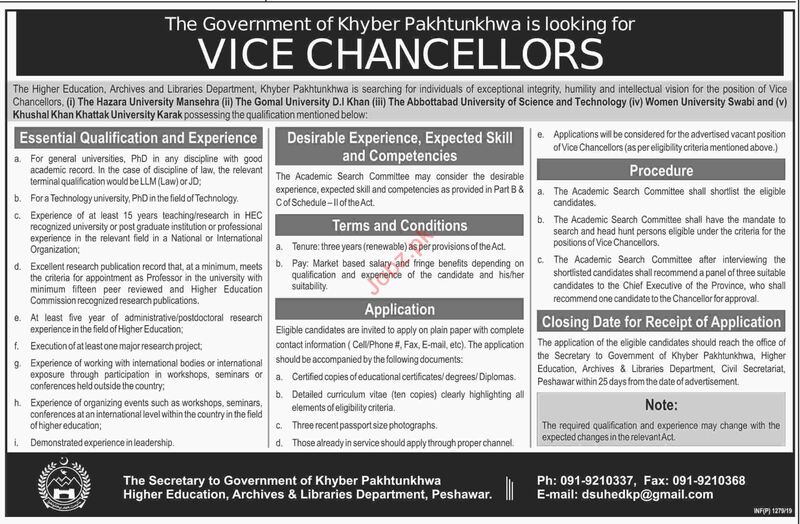 The Hazara University Manshera, The Gomal University D I Khan, The Abbottabad University of Science and Technology, Women University Swabi, Khushal Khan Khattak University Karak, Higher Education Archives & Libraries Department, Government of the KPK are seeks candidates for the posts of Vice Chancellor. You can apply online at vacancy after registering at http://www.jobz.pk site. Company Address: Secretary Higher Education Archives & Libraries Department Peshawar.